Hi everyone! 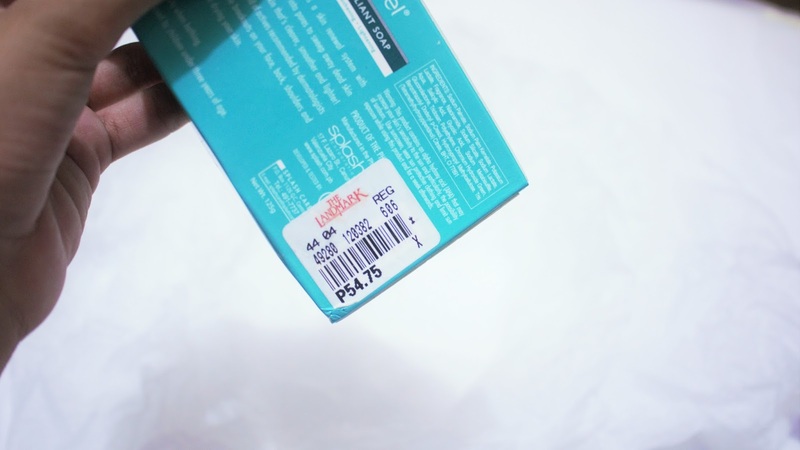 Long time no skincare review to you. 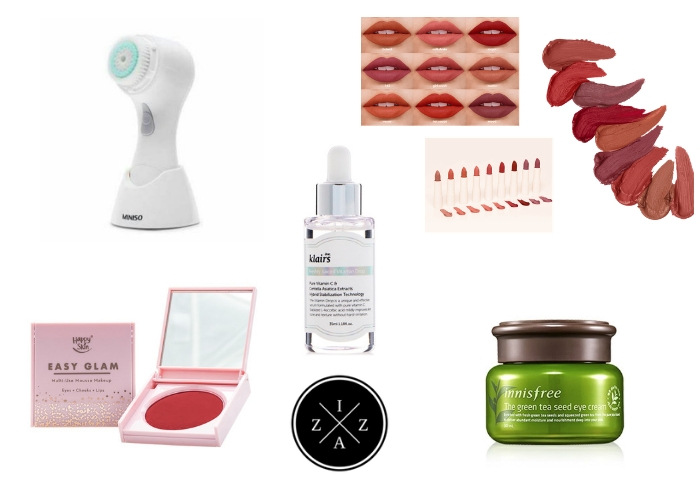 As you know I just recently shared My Current Complete Skincare Routine Day and Night. And almost all of the products I use are working pretty well. 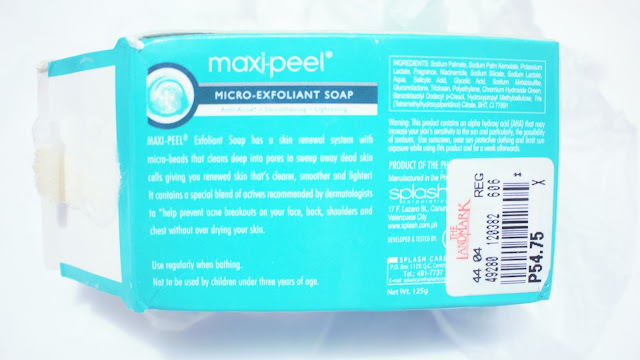 One product I was skeptical to try but turned out to be a favorite is the Maxipeel Exfoliant Soap. Today I will share to you my honest review of the soap and how I use it plus my experience in almost a month. Maxipeel Exfoliant Soap is a product of Splash same maker of the Maxipeel Solutions that have been in the market for years. - Gently rids your skin of dead skin cells to reveal younger-looking skin! - Evens out skin complexion in as fast as 7 days! This is available for 54.75pesos on a 125grams soap. Very sulit. Sodium Lactate and Salicylic Acid that are great in exfoliation. Niacinamide which is an active ingredient for whitening. Vitamin B3 that slows down pigment growth. 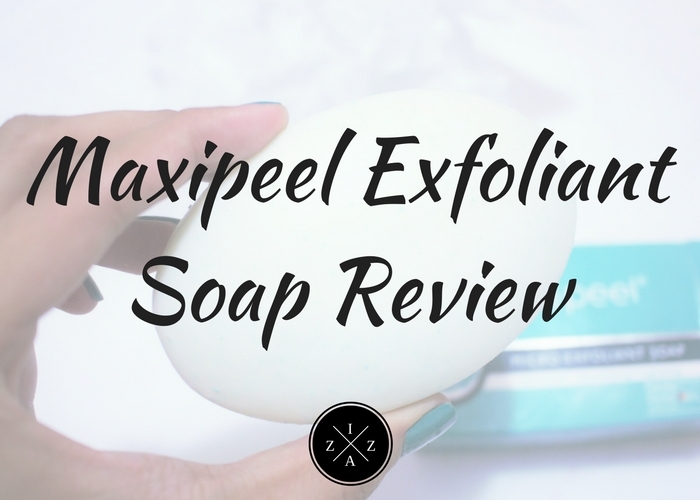 The main reason I'm skeptical in using the Maxipeel Exfoliant Soap is because I had a major rashes issue before when I tried the Maxipeel Exfoliant Lotion. It was super intense that it really looked like I was bitten a hundred ants on parts where I put the lotion. My parents thought it was due to food allergy (since I am allergic in shrimp) but I admitted that it is because of the lotion. I also saw the same reaction to people on beauty forums. This happened four years ago and since then Maxipeel had rebrand their entire product line for the better. After my whole Maxipeel Exfoliant Lotion disaster experience I got very lucky with the Maxipeel Fresh and Natural Skin Purifier. I use this mostly for double-cleansing meaning after I wash my face with a gentle face wash. It cleans very deep and had helped improve the condition of my pores. With this I decided to give Maxipeel, as a brand, a second chance. And so I discovered the Maxipeel Exfoliant Soap. How I Use It? Now a lot of reviews you'll find on the internet used the Maxipeel Exfoliant Soap for the face. I don't. I use it entirely for my body at night in an every other day duration. I alternate this soap with Dove Gentle Bar. I use my Kyusoku Bihaku Korean Magic Towel Exfoliating Scrub to really let the soap deep in my skin. 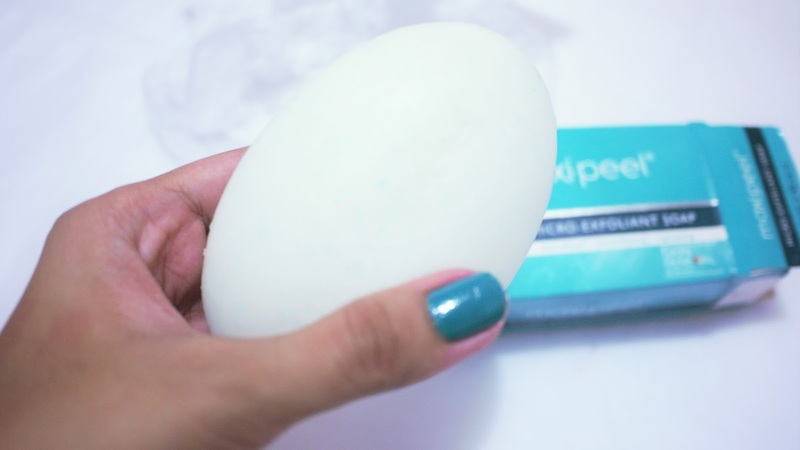 The Maxipeel Exfoliant Soap proves to be a staple on my shower supplies. It was once advertised as a solution to backne and other bumps around the body. And the word "exfoliant" is nice because just like the face, our body needs a regeneration exfoliation can bring every once in awhile. 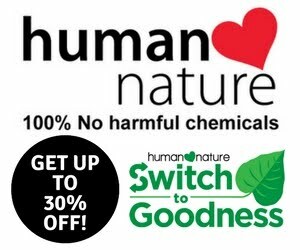 The soap itself has green micro beads that it really helps to flatten some bumps and scrubbing the dead skin all over the body. I have minimal backne but I do have some bumps on the chest area that flatten and whiten thanks to Maxipeel Exfoliant Soap (I also use Belo Intensive Whitening Soap with Kojic and Tranexamic Acid). Using this all over the body especially at night is so addicting. I love the squeaky-clean feeling I have after. My skin feels tighter and whiter too. I do make sure though that I apply a body moisturizer and/or body lotion after. I use the Nivea Extra Whitening Body Cream which helps a lot to bring back the moisture in my body. I love using this right after shower when I am still a bit wet in some areas. 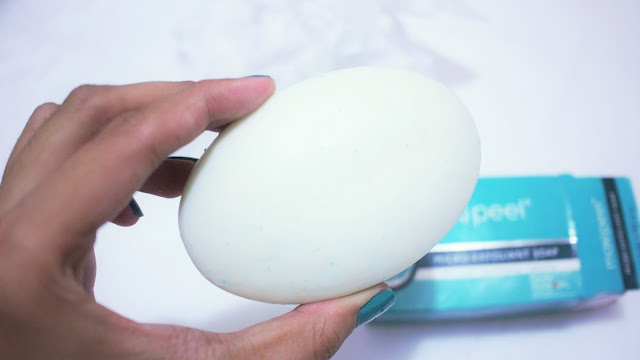 After almost a month of using the Maxipeel Exfoliant Soap I can pretty much say that yes, the Gentle Micro-Exfoliation beads present in the soap rids dead skin cells and help reveal a younger-looking skin. I don't pimple so I can't claim whether this product really helps in pimple-removal. I also don't use in my face. The Intense Whitening is noticeable after two-three weeks especially on areas where you lather more of the soap. Germicidal benefits is on point since you really feel super clean after shower. Its super nice to be honest because you sleep better when you feel better after shower. Price is very reasonable considering you'll get 125grams worth of product. Effective skin whitening and tightening. Exfoliates well revealing your skins best condition. Help a lot on backne and bumps on the body. Now remember my Maxipeel Exfoliant Lotion experience earlier? Well, this soap also caused minimal allergic reaction on my body as well. And by minimal I mean tiny rashes on my legs and arms. I guess you really can't help it since the soap use strong ingredients that tends to be harsh on the skin. That's why I only use this soap every other day and at night only. I also alternate it with a gentle soap that naturalize the condition of my skin well. 1. Make sure to use a moisturizer after using this soap because it can dry your skin. 2. If you also got some allergic reaction then its best to stop using the product for awhile. 3. Consistency plays a major part. If you want to get good results then you need to use the product religiously. With all the above said I am happy to announce that I am still using the Maxipeel Exfoliant Soap and will definitely finish the soap. If this review helped then make sure to share to others and comment below your reaction. 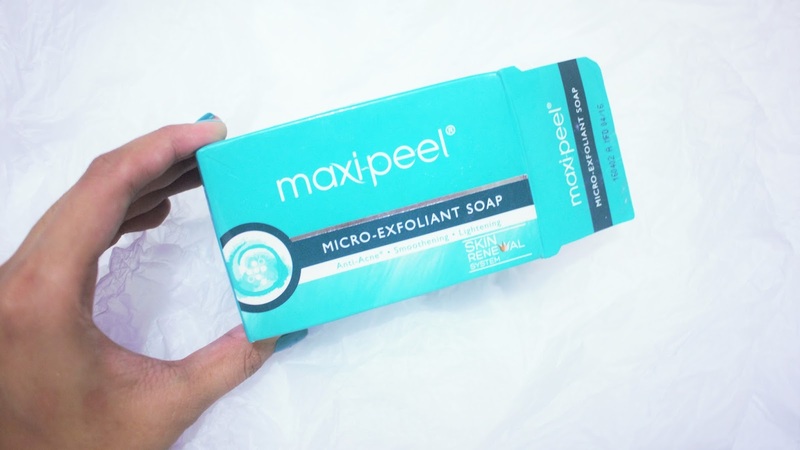 Have you used Maxipeel Exfoliant Soap? this is super to understand this new platform wherein Jorie Gillis is trying to teach yoga instructions in English. She has taken this initiative with English yoga classes in Milan. satisfied to recognise more statistics and aid for this subject matter. Wait, this isn't a page for Papaya Soaps in the Philippines... Google lied to me.